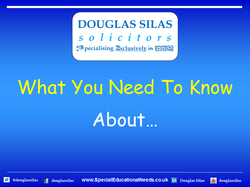 Irlen Syndrome (also known as Meares-Irlen Syndrome or Scotopic Sensitivity Syndrome) was first identified and named by an Educational Psychologist Helen Irlen while she was working with adult learners in the early 1980's. At the same time a teacher in New Zealand, Olive Meares, was the first to provide a detailed written account of the spatial distortions affecting text being read by some individuals. Until then many people with this disorder were misdiagnosed as Dyslexic or slow learners. Irlen Syndrome is a broadly defined visual perceptual disorder affecting primarily reading and writing based activities. The syndrome is one in which reading is impeded by distortions of print. Because of this, it is sometimes categorised as a form of Dyslexia. People with Irlen Syndrome are often seen as underachievers or are seen as having behavioural, attitude or motivational problems. Irlen Syndrome can also exist alongside other learning difficulties, such as ADHD (Attention Deficit Hyperactivity Disorder), Dyslexia, or Autism. People with Irlen Syndrome perceive the printed page and/or their environment differently. They must therefore constantly make adaptations or compensate for this. They are usually unaware of the extra energy and effort that they are therefore putting into reading and perception. Reading can be slow or inefficient, and there may also be poor comprehension, strain, or fatigue. Irlen Syndrome can also affect attention span, listening, energy levels, motivation, work production, and sometimes even mental health. "IS THERE ANY TREATMENT FOR IRLEN SYNDROME?" Treatment for Irlen Syndrome may lessen many of the symptoms. These effects may be reduced or eliminated by the use of coloured paper or by using coloured plastic filters or overlays placed over the text to be read. There is now a protocol for screening for scotopic sensitivity and a system for dispensing coloured overlays as a result of the assessment. Most children with Irlen Syndrome/Scotopic Sensitivity are unaware that they have it. As a result, they don't discuss it with their parents or teachers. In addition, they sometimes take it for granted that they have associated physical symptoms. For example, they think that it is normal to get tired or have a headache or stomach ache when reading or sitting under bright or fluorescent lights. They therefore suffer in silence, wishing they could perform better. For children with Irlen Syndrome/Scotopic Sensitivity the classroom is a very stressful environment. Many other places are equally stressful for them. Most people do not have the condition and therefore are not bothered by fluorescent lights, textbooks printed on glossy white paper, white boards, and overheads.